Canny Belters take another win at British Champs! 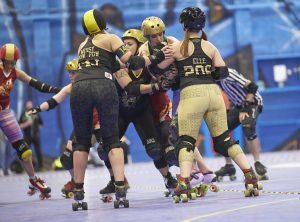 Newcastle Roller Girls Canny Belters are still at the top of their division, UKRDA tier 2, National North in the British Championships after the second round was played in Leeds on the 28th February. This was the second game this year that the underestimated Belters had been predicted to lose based on rankings and gone on to win. 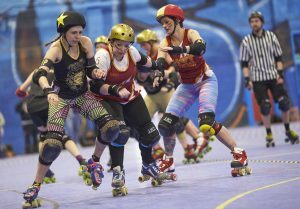 Head coach Kerri James said: “We’ve met Hot Wheel twice before while rankings have been in existence, and lost both times. We’re a different team than the last time we met them on track and we were determined to show them why. The effort everyone put into the game in the run up was phenomenal, which really showed and Hot Wheel were never in the lead points wise with NRG dominating. 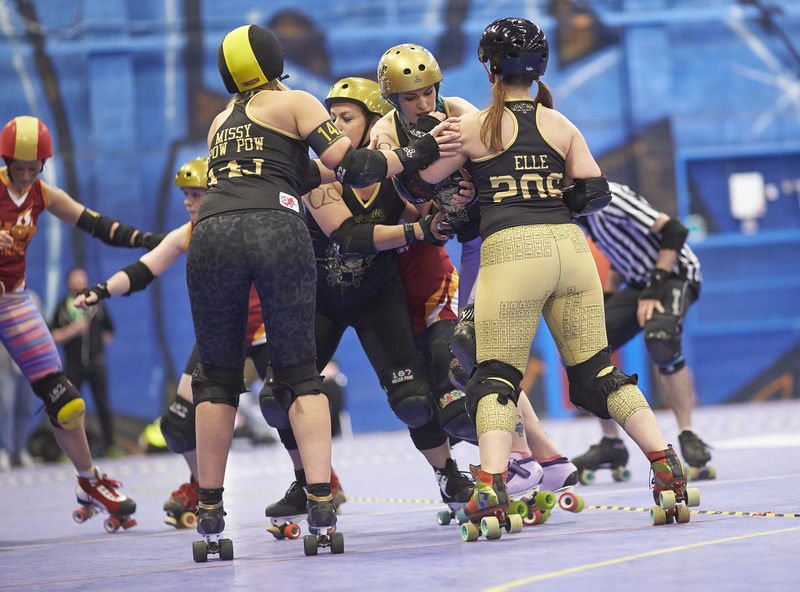 The outcome of their game against Hot Wheel sees NRG Canny Belters rise to 8th in the UKRDA rankings (8th best team in the UK out of 42 teams) and rise to 22nd in the European rankings (22nd out of 344 teams). 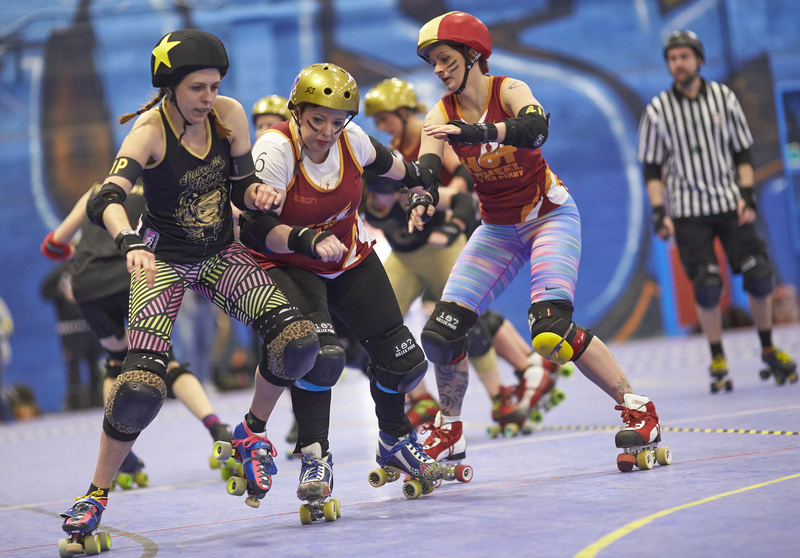 Have you noticed our amazing brand new uniforms courtesy of the brilliant Queens of the Sin Bin?